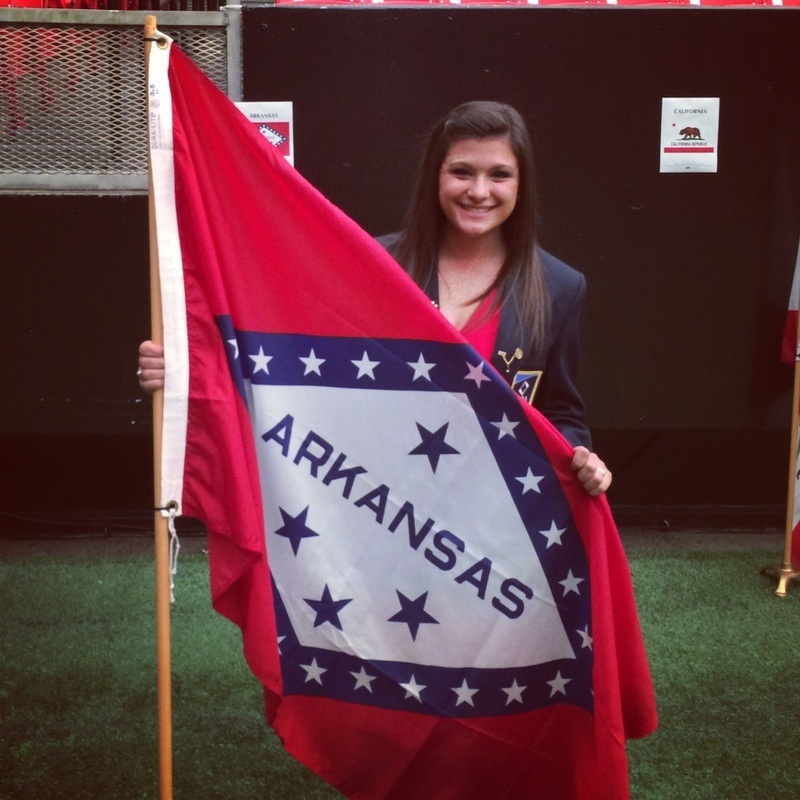 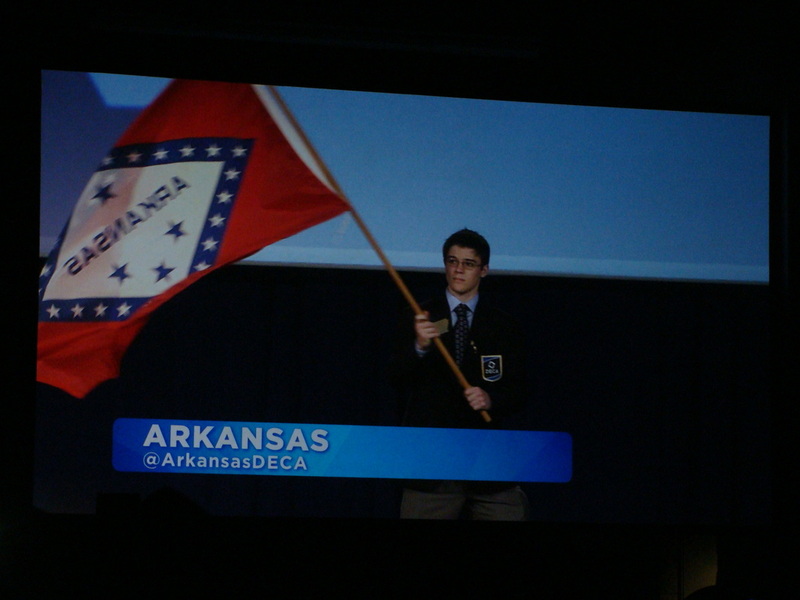 Arkansas DECA President Shane Siler presents the Arkansas flag during ICDC 2013. 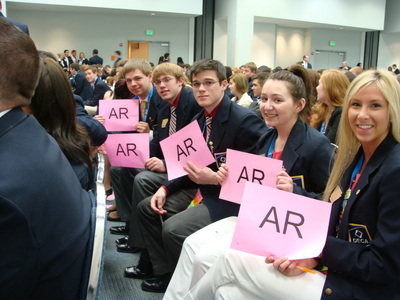 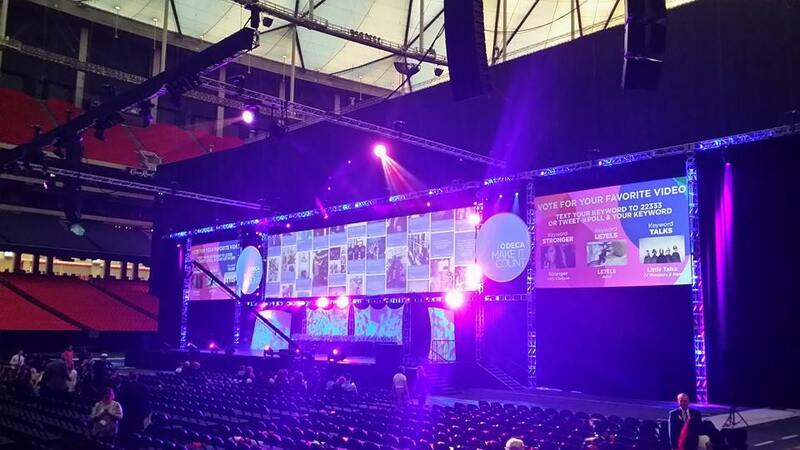 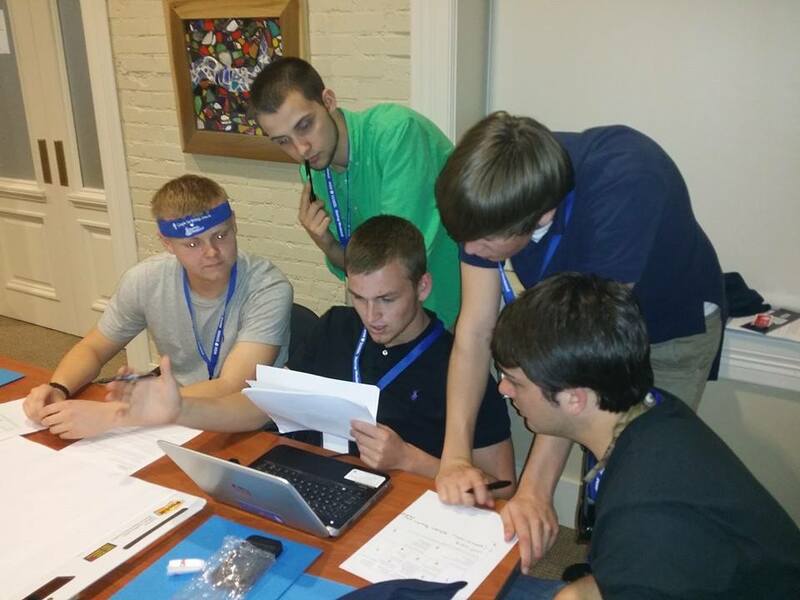 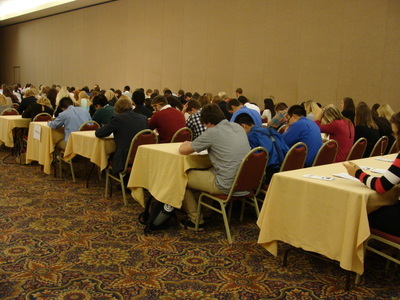 State officers during Voting Session at ICDC 2013. 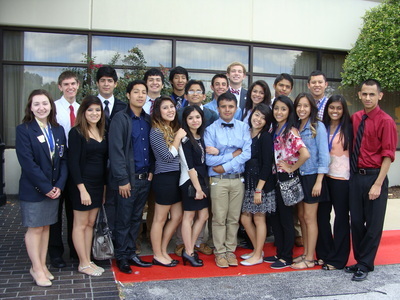 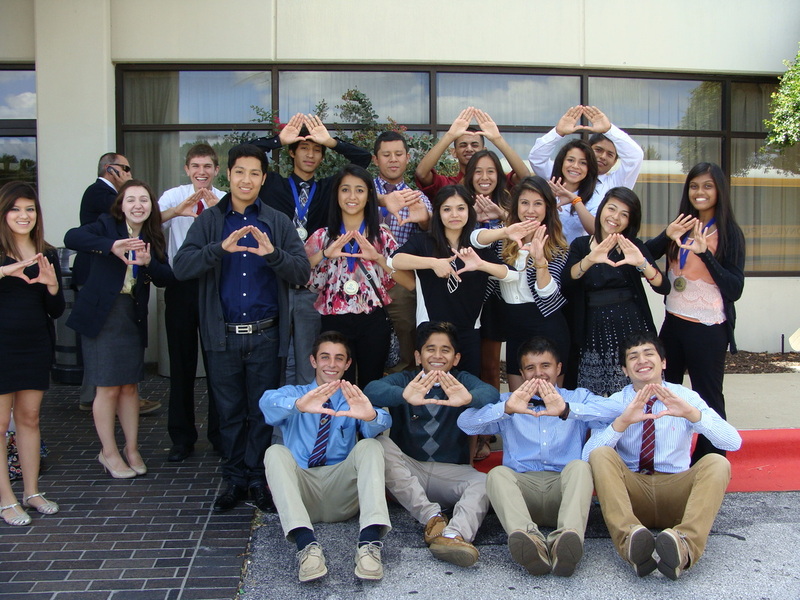 Springdale DECA at the Fall Conference in Springdale. 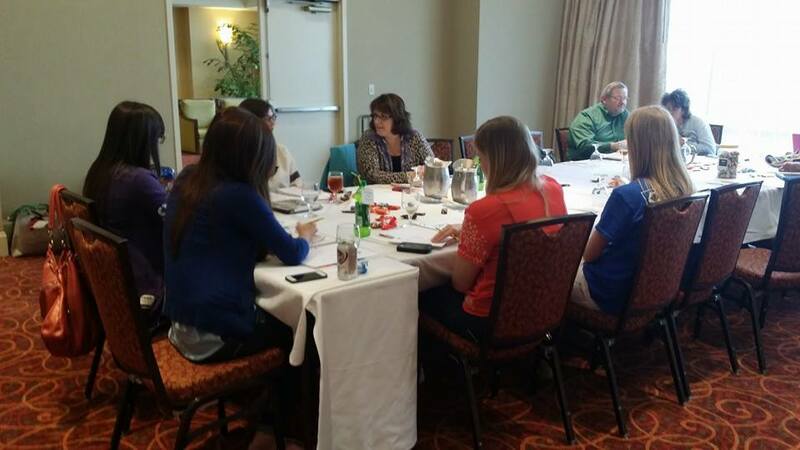 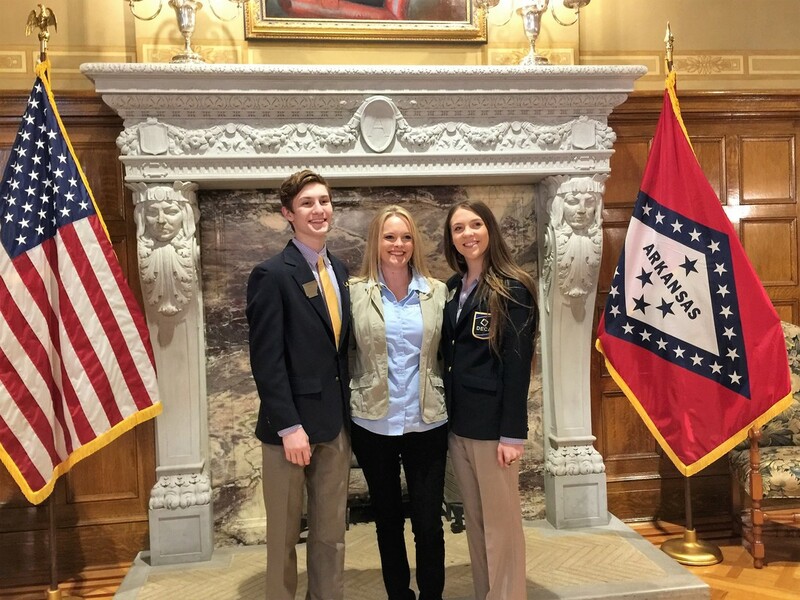 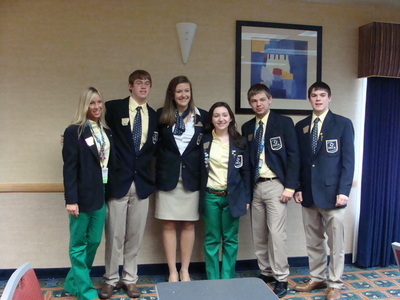 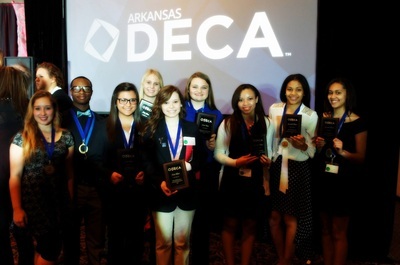 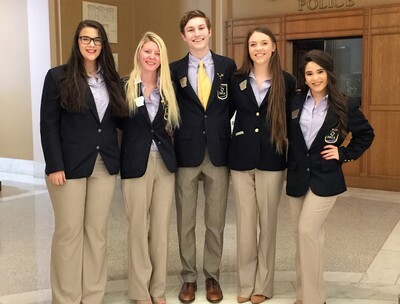 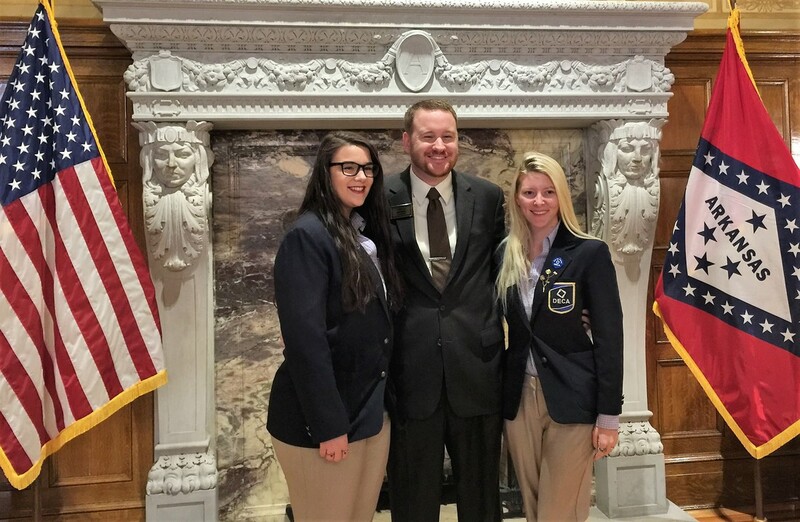 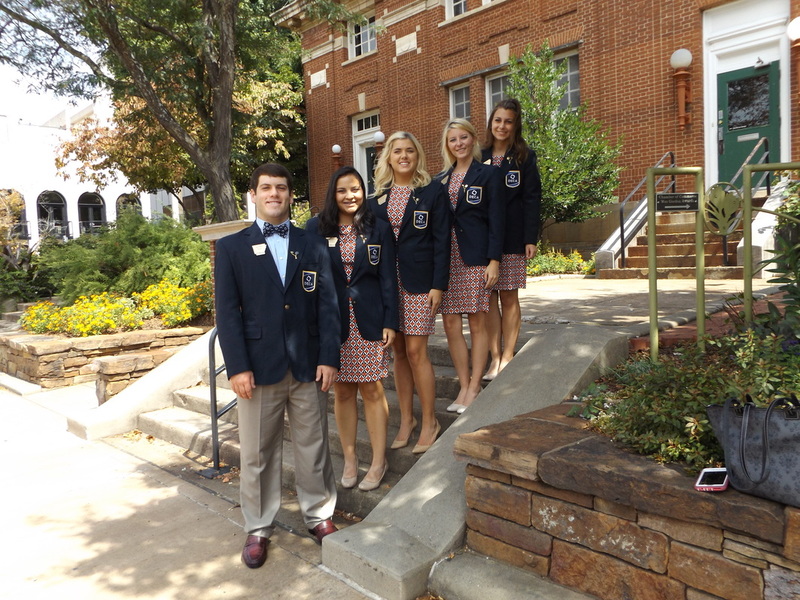 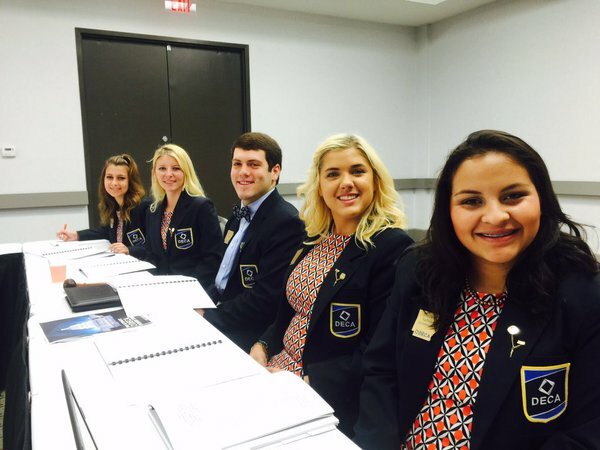 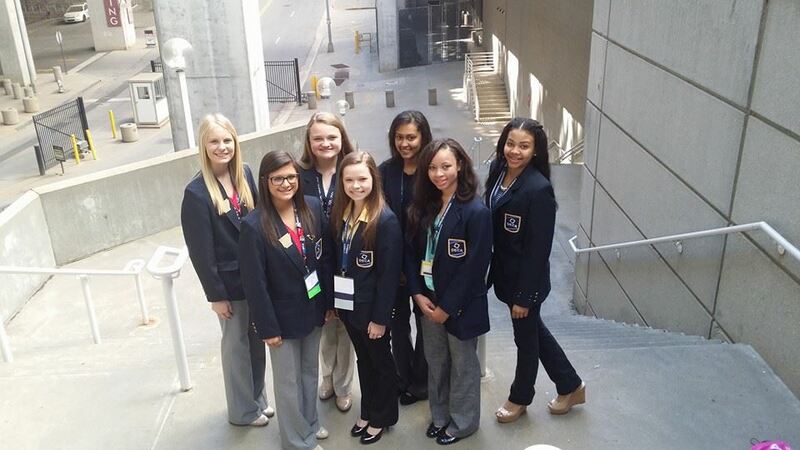 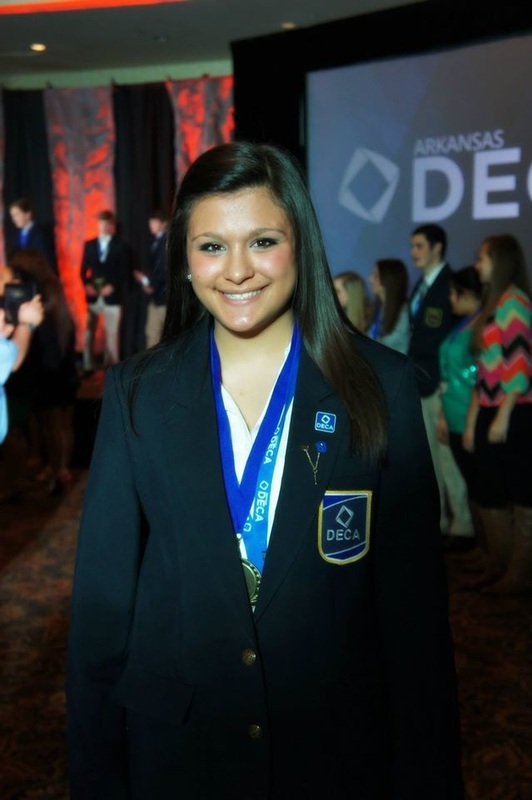 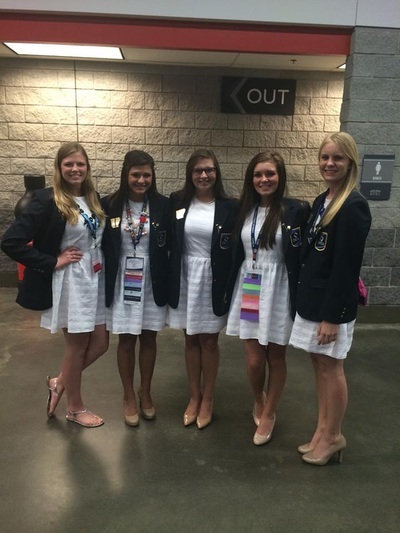 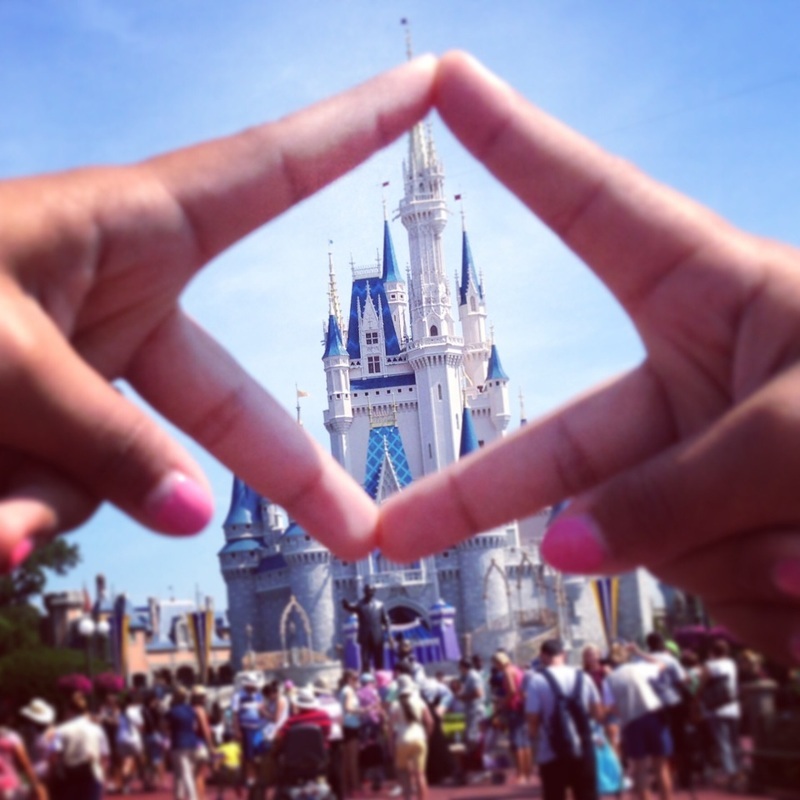 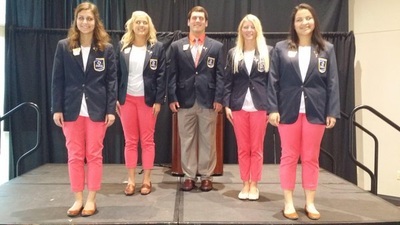 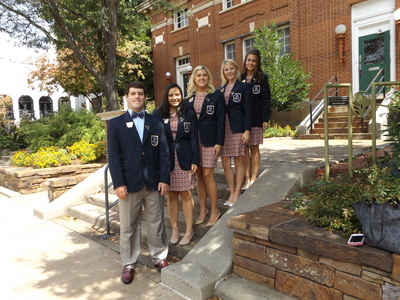 Arkansas DECA State Officers meet with Southern Region VP Lexy Parsons during ICDC 2013. 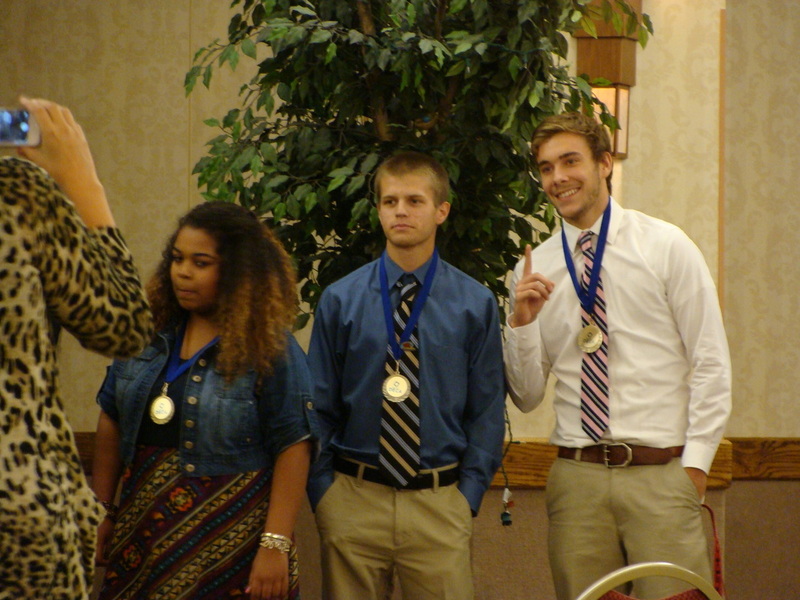 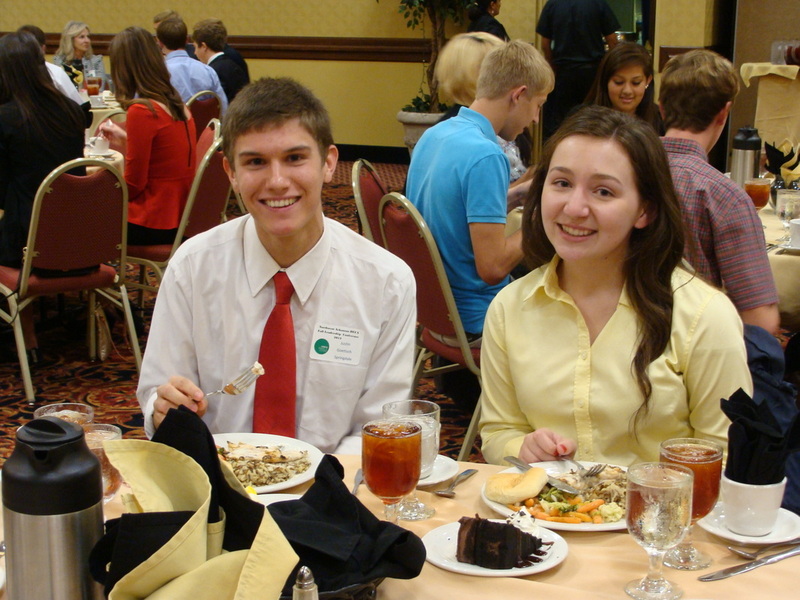 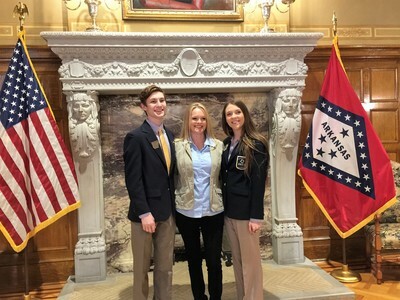 Springdale DECA members Justin Goettsch and Mary Kathryn Whitaker at the Fall Conference in Springdale. 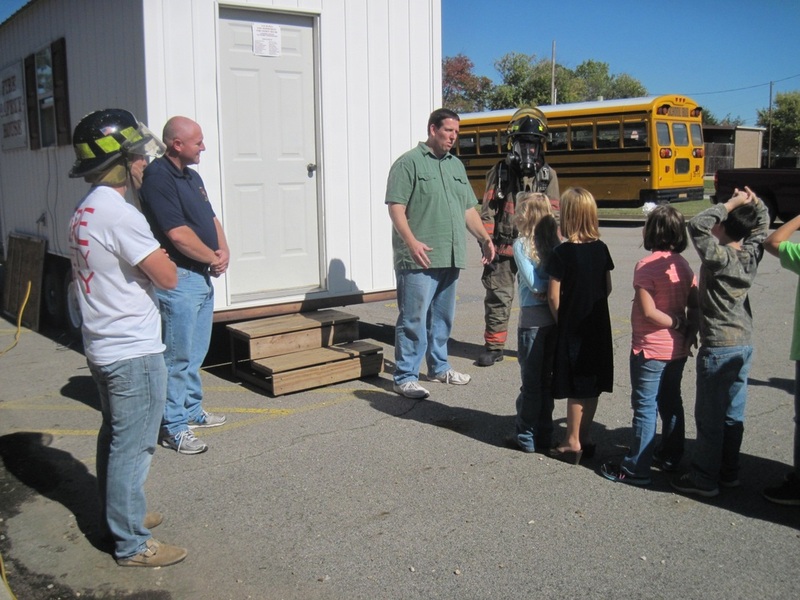 Alma firefighters during the Alma DECA-sponsored Fire Safety Day for 3rd graders at Alma Intermediate School. 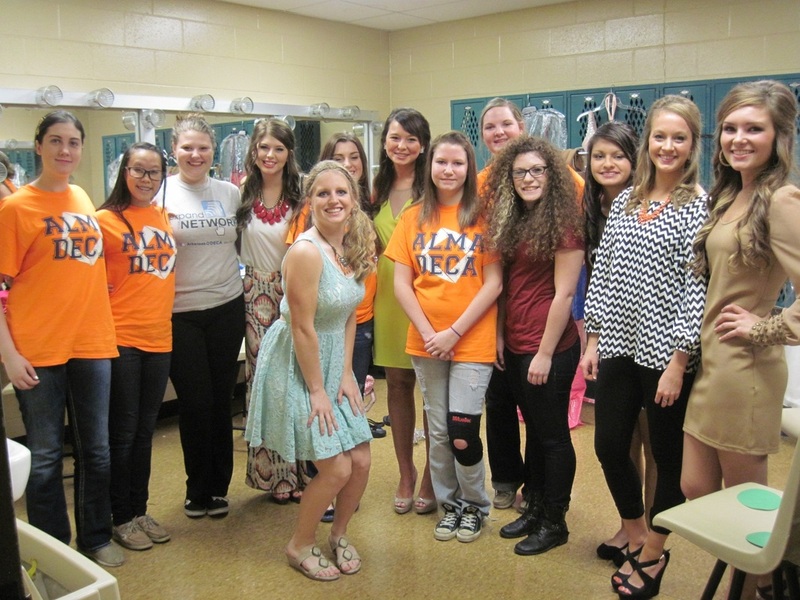 Volunteers from Alma DECA working the Miss Alma High pageant. 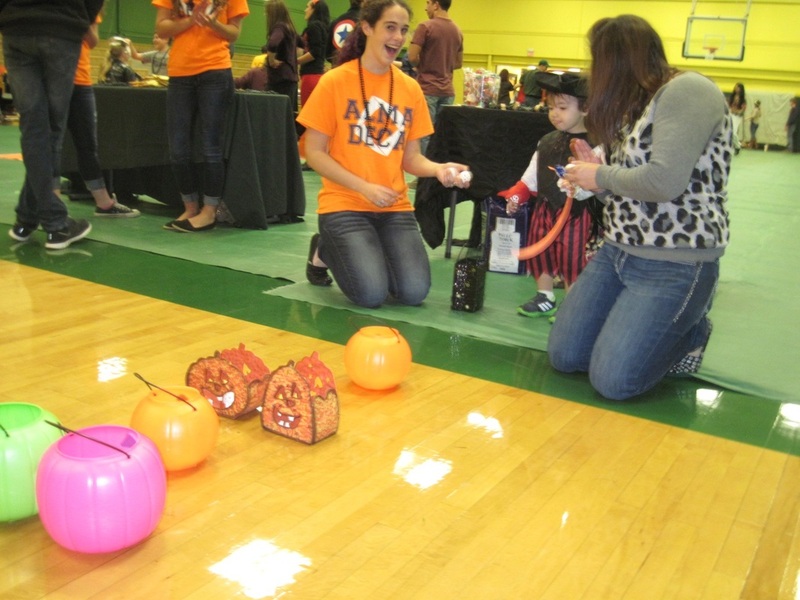 Alma DECA's Ping Pong Toss at "Trick or Treat So Kids Can Eat" Event benefiting child hunger. 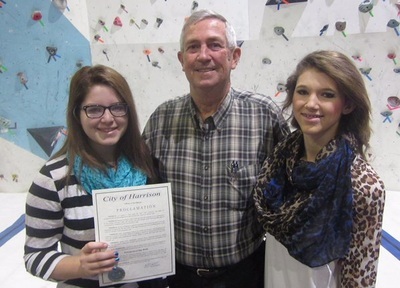 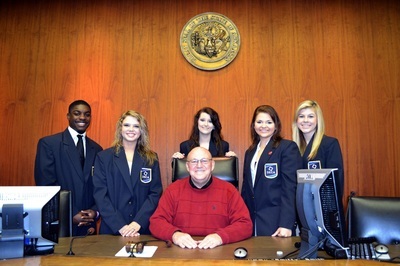 Arkansas High DECA meeting with Texarkana Mayor Wayne Smith. 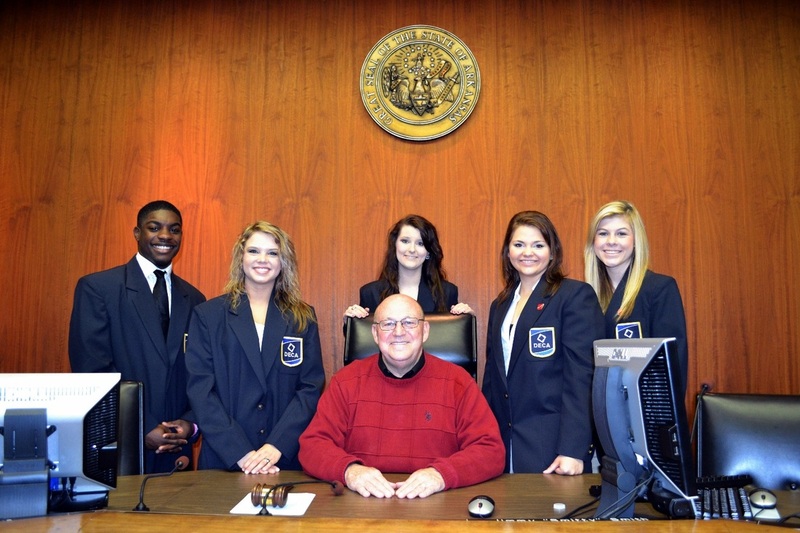 From left: Charles Harris, McKenzie Harris, Randi Young, Mayor Wayne Smith, Hannah Lummus, and Harley McAfee. 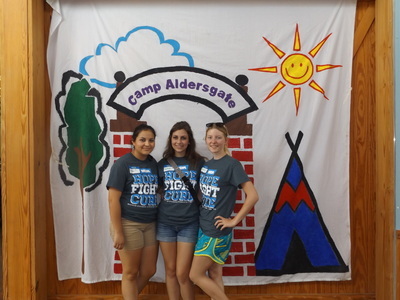 Alma DECA at the Fall Leadership Conference in Springdale. 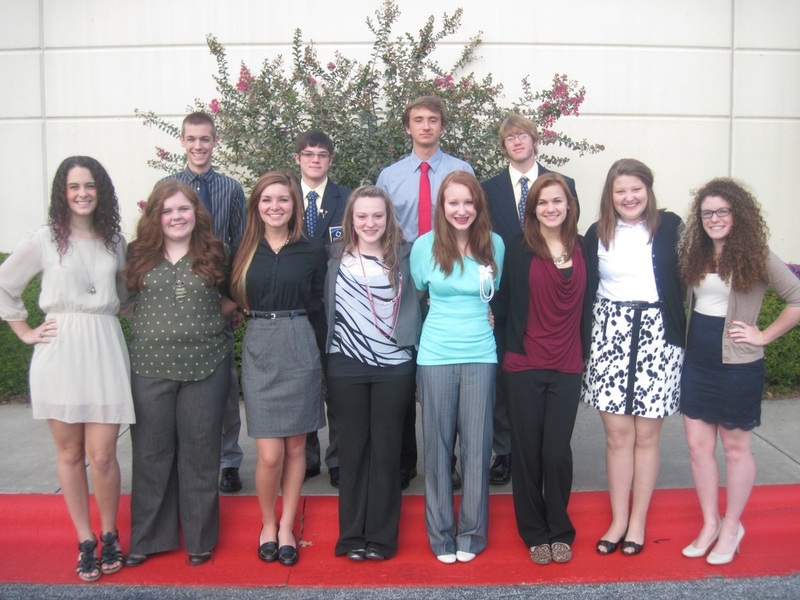 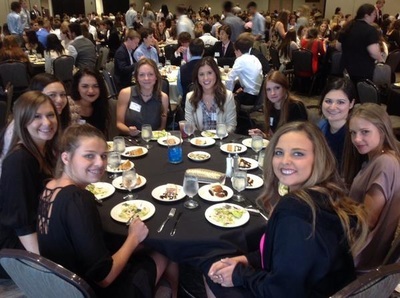 Springdale DECA at the Fall Leadership Conference in Springdale. 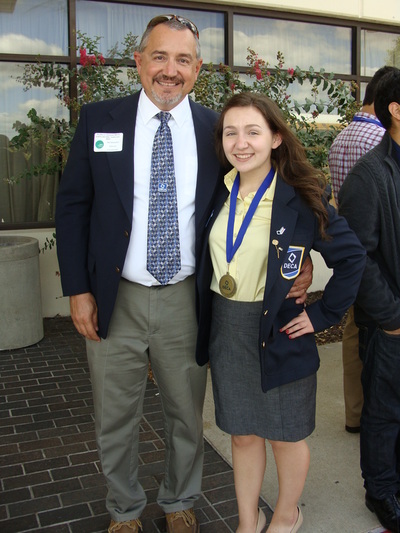 State Officer Mary Kathryn Whitaker with Fayetteville DECA Advisor HB Whitaker, at the Fall Conference in Springdale. 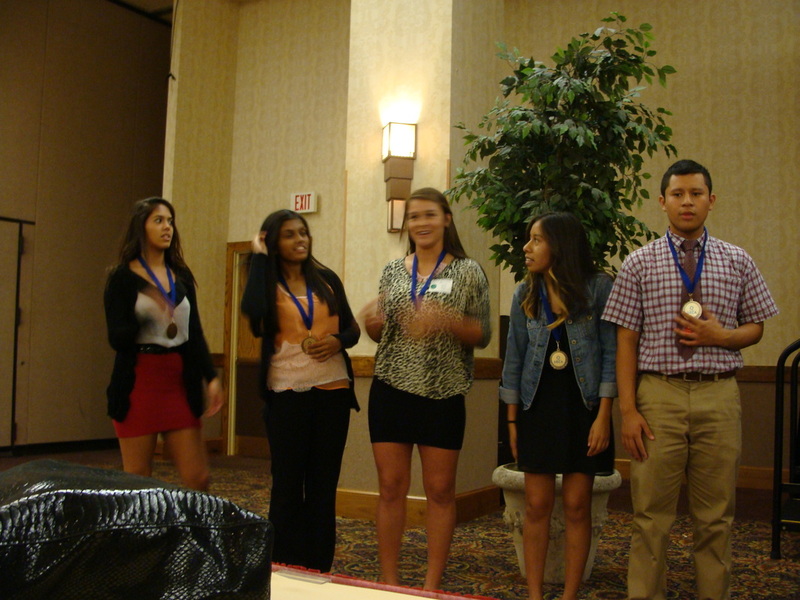 Harrison DECA officers. 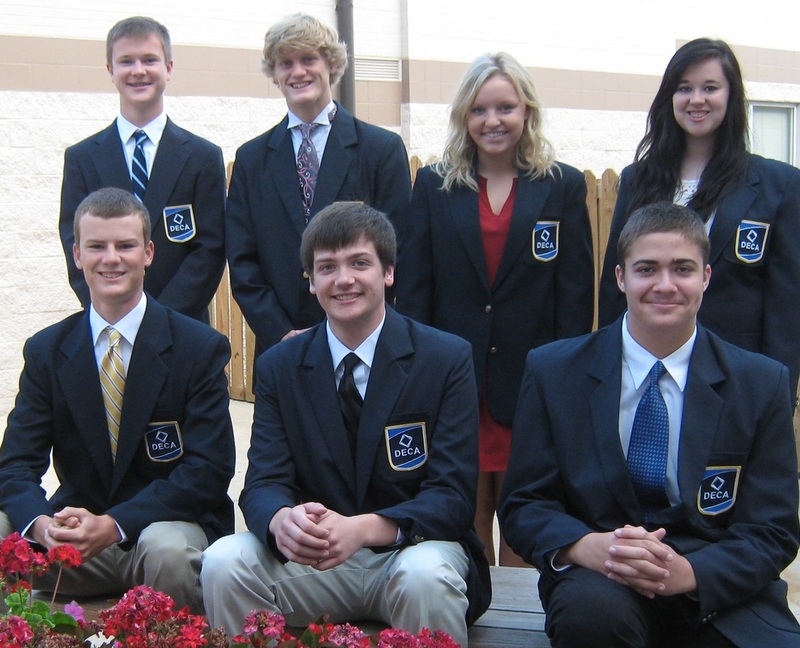 From left: Wilson Marseilles, Seth Butler, Andrew Coble, Logan Owen, Andrew Matthews, Morgan Walls, and Sarah Brashers. 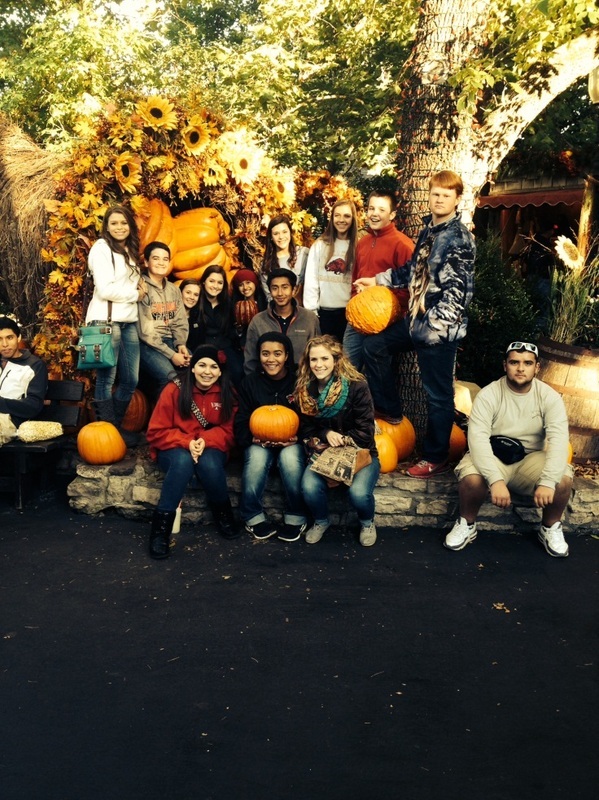 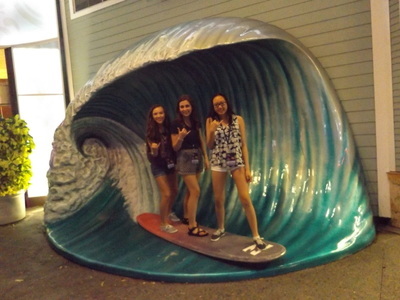 Russellville DECA members have fun at Silver Dollar City. 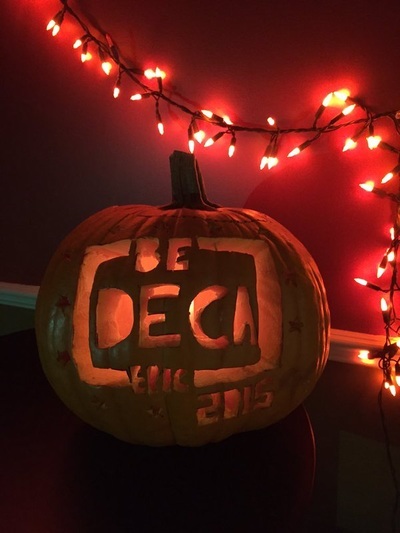 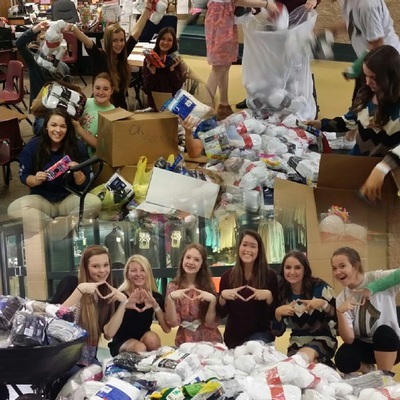 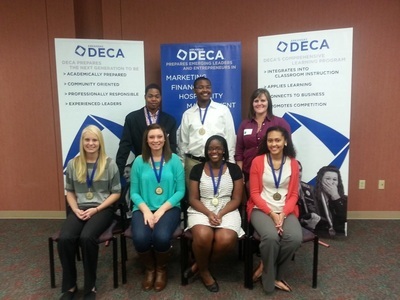 Harrison DECA celebrates GEW Week!